The social sciences have been getting a lot more attention during the International Polar Year (IPY) 2007-2008, as Dr. Igor Krupnick from the Arctic Studies Center at the Smithsonian National Museum of Natural History explains. Dr. Krupnik believes increased reciprocity between researchers and indigenous Arctic communities has been key in improving the relationship between resarchers and indigenous Arctic communites. Together with Dr. Claudio Aporta from Carleton University, Canada, Dr. Krupnik coordinates a major IPY project called SIKU (Sea Ice Knowledge and Use - IPY project n° 166), which involves scientists from six nations and over 20 indigenous communities in Alaska, Canada, Greenland, and Russia. Dr. Krupnik is also a member of the Joint Committee for the International Polar Year 2007-2008 and he was a member of the U.S. National IPY Committee, which produced a "Vision for IPY 2007-2008" document in 2004. He also also worked hard to bring socio-cultural issues, ecological knowledge, and environmental observations of northern residents to the agenda of IPY 2007-2008. In this interview, Dr Igor Krupnick discusses the important contributions of the social sciences to the fourth IPY, in particular how social scientists have advanced the idea of reciprocity between researchers and indigenous communities. How was it trying to get the social sciences to be an integral part of the IPY? I already told this story at length in my keynote address at the Congress of the International Arctic Social Sciences Association (ICASS-6) in Nuuk, Greenland in August 2008. So in the interest of time I will just refer you to that speech, which has recently been posted on the IASSA website. It will be published in hard copy later this year. In short, it was a very long and painful process to get the social sciences represented in this IPY. How would you rate the overall success of the social scientists' participation in this IPY? I believe our participation was really an amazing development because it helped transform the base of the fourth IPY, making it far more inclusive and cross-disciplinary than purely geophysical initiative as the IGY was in 1957-1958. In fact I would like to hear more from our colleagues in other fields of sciences saying how much they benefited from the contribution of social scientists and social sciences in this IPY. Besides our projects and public activities, one of several contributions from the social science community was that we were the first to point out the need to record the history of this IPY in order to secure our legacy in terms of archiving our data - not only our records in terms of the unified data policy, but the history of how the fourth IPY originated. The very concept that we need historical documentation of the development of science itself is very normal to social scientists and to people who work in the humanities. But it is a very unusual thing for people in the natural and physical sciences. They are not nearly as interested about their own history, and in particular preserving materials related to that history. So I believe that the very fact that the Joint Committee for IPY 2007-2008 accepted the need to record and preserve its history, including the archival files of how this IPY got started and developed is a clear "fingerprint" of our involvement. I also believe that our very presence in IPY-4 helped make it far more inclusive than it would have been and goes beyond the regular disciplinary view of research. It has created a very different public perspective on what the IPY is and why it is important, because the public responds more to issues related to people. The connection to people has been very critical in this IPY. Social scientists also raised the issues that until recently physical scientists rarely asked, like the participation of local and indigenous communities or the idea of reciprocity or return of knowledge to the places they work. And we also raised the issue of ethics and who owns the knowledge, something that has never been on the agenda of the physical and natural scientists. Why would who owns the knowledge be an issue? Social scientists are of course eager to share data much like other scientists do; but we have a constituency of Northern residents with which we work and partner, who have their own intellectual property rights that we have to acknowledge. To many indigenous communities the knowledge they have about the environment or the traditional use of land and ice and their historical legacy is a very important part of their cultural heritage. In a way it is their cultural property, which cannot be alienated and shared immediately over databases with any person who might be interested. Many natural scientists were originally taken aback by the idea that indigenous people own their traditional knowledge. We social scientists had many discussions with the IPY database people to have indigenous representatives on the IPY Data Management Subcommittee. 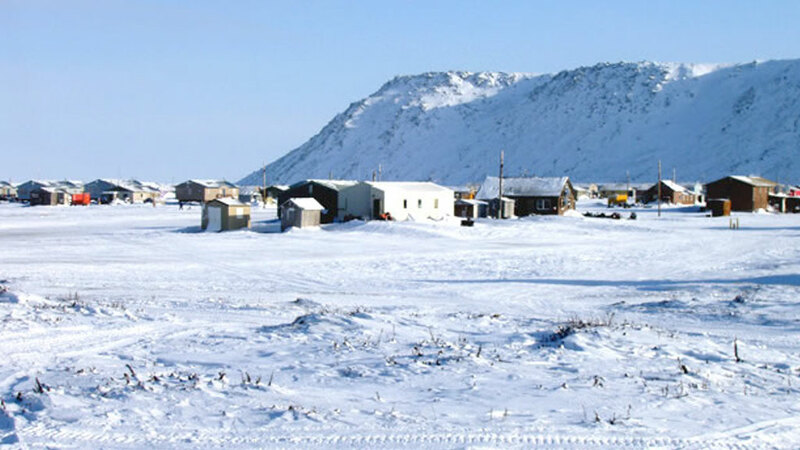 In fact there is a special project in IPY chaired by Shari Gearheard called ELOKA (IPY project n° 187 - Exchange for Local Observations and Knowledge of the Arctic) that specialises in the proper ways to share indigenous knowledge. There will be certain restrictions on sharing indigenous observations and knowledge and we have to accept this if we want to partner with indigenous communities. This was again a new thing to natural scientists and data managers. Indigenous knowledge and any local knowledge for that matter are always place- and culture-specific, and we have to respect this. To me this is the new rule of the game. It does not constitute a closing off of knowledge but rather it generates sensitivity, it increases respect for other peoples' rules and it makes people better when they know that the rules must sometime be adapted to include other partners and their views. Does this mean that negotiations would have to take place in order for a project to go ahead? Yes, I think "negotiations" is a good word. In the physical and natural sciences, negotiations only happen between an individual scientist or scientists in a project and the broader community of scientists that allow them to have access to this data. The concept of reciprocity was until recently alien to natural scientists because to them it is all about contributing to a common good. In the case of working with indigenous partners, negotiations are primarily not with an individual knowledge keeper or bearer; it is primarily with a community. It is usually a collective decision concerning what type of knowledge to share and how to share it and what type of knowledge to use for the community only. I do not have any problem with this. It is the recognition of diversity of knowledge and the diversity of knowledge use. To me this increases our sensitivity to other cultures rather than creates barriers. Are you talking about making quid pro quo arrangements with indigenous communities? Yes and no. It is not so much "You give me your data and I will give you my data." I would say "yes" in that when you work with indigenous communities, there is the very interesting idea of what will be the reciprocity of partnership, what both sides will learn or gain through a particular collaboration. At the same time I would say "no" because we do not have to follow formal and uniform agreements of reciprocity in every place and in every respect. I would rather go for various individual and local arrangements for different situations in different countries. But the sooner the idea of sharing and reciprocity becomes an established norm, the better. I believe the presence of the social sciences in this IPY may eventually contribute to the idea of sharing information not only amongst scientists but amongst the public, local constituencies and partners, and getting benefits from sharing knowledge in a very general way. But couldn't you argue that this is one aspect of the common good, except that it also now includes indigenous communities as part of that common good? To a certain extent. The idea of the "common good" is based upon primarily non-reciprocal and often anonymous sharing or rather upon belief that a contribution to the common pool will bring some eventual benefits to everyone, often many decades or generations down the road. In the community context, you share your knowledge to the benefit of your kin, your community, your people and often for very well defined practical or cultural purposes. If we ask the communities to share their knowledge with some unknown "southern" audiences for poorly defined purpose they would treat it as alienation of their intellectual property and rightly so. So could you say that until the fourth IPY reciprocity really hadn't been the norm in the natural sciences? Well, I have not come across any evidence of IGY-era scientists doing anything for indigenous communities. In fact, none of the research done during the IGY in 1957-1958 was in any way tailored for indigenous communities. I cannot even say whether there are/were any indigenous memories kept of the IGY, however I have not studied this topic specifically, and it was 50 years ago. Nonetheless, the whole spirit of science was different back then. Polar science consisted of sending scientists to wild and distant lands to do their research. The needs of local and indigenous communities and of interacting with them were the last thing on their agenda, particularly since IGY was so strongly geophysically-oriented and it explicitly excluded any reference to local indigenous communities. However during the first IPY in 1882-1883, many expeditions brought back extensive natural history and ethnological collections. Researchers back then interacted with local communities, and they were even instructed to collaborate with them. A recently published collection from Smithsonian Institution Scholarly Press called Smithsonian at the Poles: Contributions to International Polar Year Science (2009), which we co-edited with Michael Lang and Scott Miller, goes more in-depth on this subject. So the level of interaction with indigenous communities can fluctuate over time. However from my perspective this is absolutely manageable; it can be increased (or decreased) via concerted efforts of the scientists and organisers. And this is exactly what we did in this IPY, specifically through concerted efforts to increase indigenous residents' participation and reciprocity. If social scientists had not been a part of the fourth IPY, it would have been much more like the IGY. We social scientists did not invent the idea of sharing and reciprocity when we joined the IPY. However since it was already more or less a norm in our work, it was natural for us to be the ones to raise the issue of its importance. Igor Krupnik is cultural anthropologist and curator of Arctic and Northern ethnology collections at the National Museum of Natural History, Smithsonian Institution in Washington, D.C., USA. He has done extensive fieldwork in Alaska and along the Russian Arctic coast and has worked on several projects studying the impacts of climate change, preservation of cultural heritage, and ecological knowledge of Arctic indigenous people.